Pelican Publishing Company, 9781589806634, 32pp. St. Patrick settles in for a much-needed nap after driving the evil snakes from Ireland; however, one clever snake escaped the ring of his miraculous bell. Just in time to witness the sneaky snake stealing the bell from St. Patrick's side, Tulla mouse knows something must be done. Realizing she cannot accomplish such an important task on her own, she calls upon the help of her friends, Ryan and Brian. 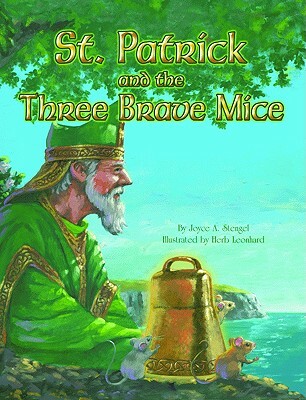 The three mice work quickly to devise a plan to return St. Patrick's bell, but they know it will not be easy. Despite the fact these mice are no match for the snake in size and wit, their desire to right a wrong encourages them to work together. After putting their plan into action, the three mice are successful in returning the bell to St. Patrick, and all rejoice when Ireland is finally free of every snake. Playful language accompanied by Celtic-inspired illustrations makes this hopeful tale of three brave mice a great lesson of teamwork and the ability of good to triumph evil.